You can’t miss Lizzie’s Lunchbox. The hot-pink food truck is a bright burst of color parked between a video store and a carwash in northwest Austin, Texas. Lizzie’s belongs to Iowa State alumni Lisa (’86 business administration) and Keith (’84 computer engineering) Allen. Keith is a lead member of the AT&T technology staff, and Lisa was a technical writer when she decided to join the Austin food-truck movement. 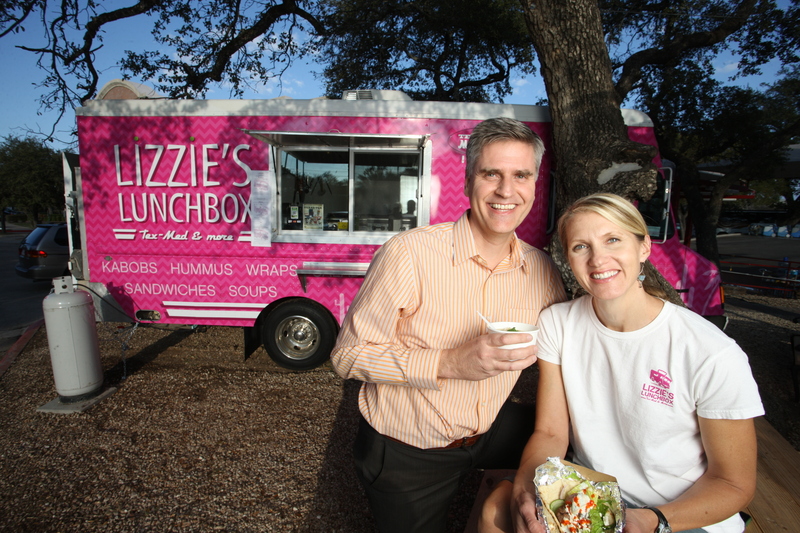 Lizzie’s Lunchbox specializes in “Tex-Med,” a healthy combination of Texas- and Mediterranean-inspired cuisine: pita wraps, hummus, kabobs, sandwiches, salads, soups, and desserts. Lisa and Keith embarked on the adventure together, starting with buying an old tool truck in Dallas, with plans for a do-it-yourself renovation. Lizzie’s is open six days a week, serving lunch from 11 a.m. to 2 p.m. Lisa does most of the cooking herself in her ultra-efficient kitchen. The former Iowans (the Allens both grew up near Oskaloosa) moved to Austin in 1995. Check out Lizzie’s website. It makes my mouth water! Kara Fuhlbrugge’s bachelor’s degree in graphic design took her to Austin, Texas, immediately after graduating from Iowa State in 2003. The job – designing watches for children and adults – was with Seiko Instruments. 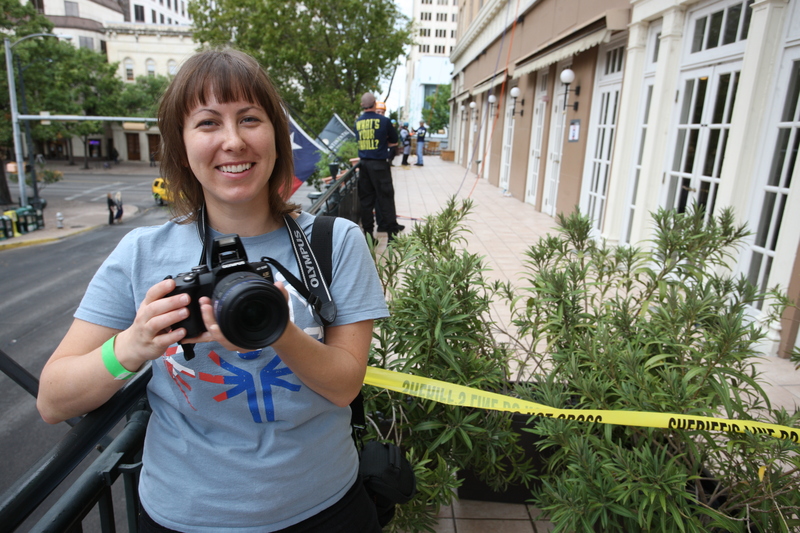 After a few years, she moved to a marketing firm where she worked on projects for a variety of local clients. But she wanted a job she could be passionate about. And she found it in Special Olympics Texas. As the only graphic designer for the organization that provides year-round sports training and competition for 40,000 kids and adults with intellectual disabilities, Kara designs banners, T-shirts, billboards – and just about everything else. Kara grew up in Farmington, Iowa. “I started out at ISU as a small-town Iowa girl, but I’m proud of where I am today, making a difference in the lives of thousands of people with intellectual disabilities,” she said. 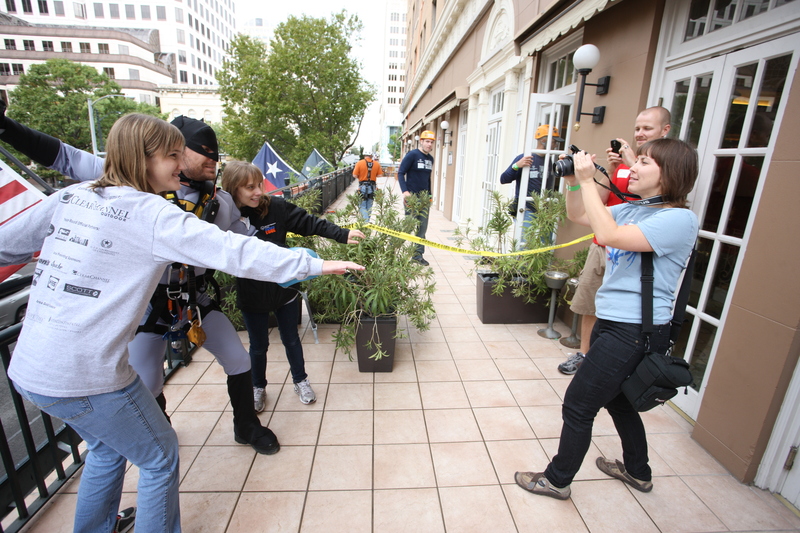 In addition to her design work, Kara’s “other duties as assigned” include working athletics competitions and other events – like the fundraiser in November that allowed participants to rappel down the side of the InterContinental Hotel in downtown Austin for a contribution to Special Olympics Texas of $1,000 or more. Kara’s role: Congratulate rappellers. Take their pictures. Get them to act excited. Jump up and down. 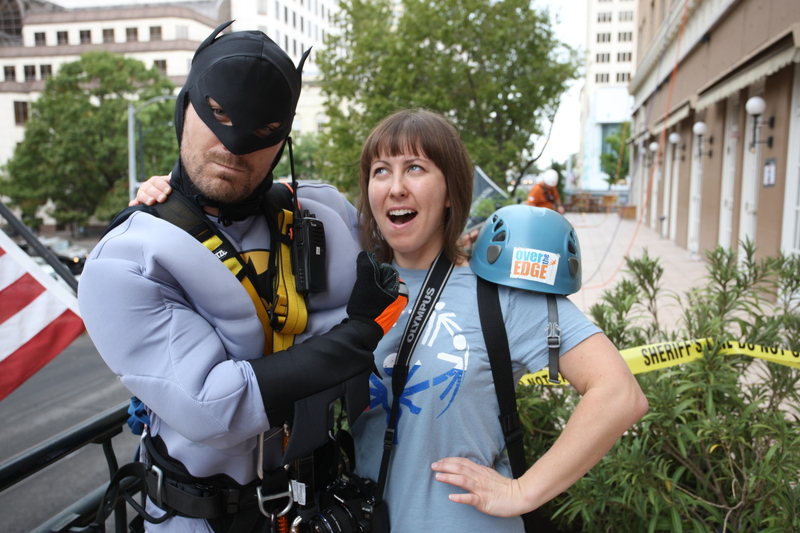 Meet a guy dressed like Batman.